Our wide selection of matt laminating film & encapsulation film will make your printed documents look great. 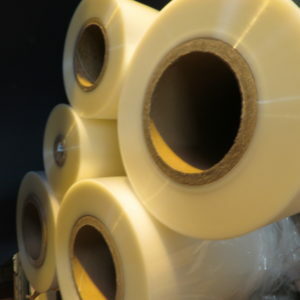 We offer 3 core sizes of laminating film in 25m, 57mm & 76mm diameters to fit all main brand machines. Our Ultra Matt laminating film has a quality pressure sensitive finish but in a heat activated product to give a deeper, top quality matt finish for your images. Our wide selection of matt laminating & encapsulation film will make your printed documents look great. We offer 3 core sizes 25m, 57mm & 76mm diameters to fit all main brand machines. Our Ultra Matt laminating film has a quality pressure sensitive finish but in a heat activated product to give a deeper, top quality matt finish for your images. 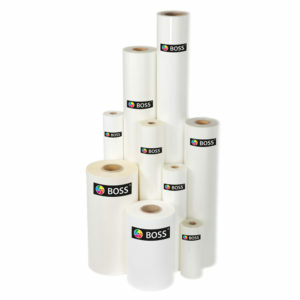 Our wide selection of gloss laminating & encapsulation film will make your printed documents look great. We offer 2 core sizes 25m & 75mm diameters to fit all main brand machines. Our premium quality low melt gloss laminating film is crystal clear and provides a bright, shiny finish to enhance the colours in your images to create a perfect, vibrant result.